The 98th edition of the Giro d’Italia starts on Saturday, May 9, and we take a look at the major contenders lining up to win the coveted maglia rosa of race leader. Alberto Contador, Tinkoff-Saxo Despite not having the best early season form (fourth at the Volta a Catalunya and fifth at Tirreno-Adriatico pale in comparison to the overall wins at the Tour of the Basque Country and Tirreno he’d claimed by this time last year), Contador remains the outstanding rider lining up at this year’s Giro. He’s won six of the eight grand tours he’s completed in his career, and is never happy to settle for a runner-up finish – thoughts of the Tour he’s expected to ride in July is unlikely to hold him back. Fabio Aru, Astana After starring at last year’s Giro and Vuelta, Aru has had a quiet start to the season, with sixth at the Volta a Catalunya his most eye-catching result so far. The stomach virus that forced him out of the Giro del Trentino will have been a minor setback to his preparations for the Giro, but if he can regain the form that saw him finish third overall last year, he’ll be one of the men most likely to challenge Contador. Rigoberto Uran, Etixx-Quick Step In recent years Uran has excelled at the Giro, and once again his major goal of the season is to win it. His second place finishes in both 2013 and 2014 tell two different stories – that of a rider who can climb and time-trial with the best of them, and that of a rider lacking the killer instinct to win races. Richie Porte, Sky First at Paris-Nice, first at the Volta a Catalunya, first at Giro del Trentino – Porte is by far the most on-form stage racer in the peloton, and based on this season alone should be the hot favourite for the pink jersey. But the Australian remains unproven in grand tours, and has displayed similar form in the past only to falter. Domenico Pozzovivo, Ag2r Since winning the Giro del Trentino in 2012, Pozzovivo has become won on the most reliable riders in stage races, finishing eighth, fifth and tenth in the past three Giro as well as multiple top tens in one week WorldTour races. He does struggle to win races, however – despite finishing in the top ten of six WorldTour stage races over the past two years, his highest placing has been third. A podium finish is therefore probably the best he can hope for. Ilnur Zakarin, Katusha Following his unexpected win at the Tour de Romandie last week, where he both matched Nairo Quintana and Chris Froome in the climbs and Tony Martin in the time-trial, there’s no telling how well Zakarin can go at the Giro. There is, however, a big leap from winning week-long races to competing in grand tours, so it seem most likely that the 25-year old will impress intermittently rather than consistently. Ryder Hesjedal, Cannondale-Garmin It feels like a long time ago since Hesjedal won the pink jersey back in 2012, and since then he has managed just one win (a stage at last year’s Vuelta). He may no longer be considered a major favourite, but nevertheless skipped the Ardennes Classics in order to make a GC bid the first main target of his season. A top five finish is possible. Matthews has made a speciality of winning stages and holding the leader’s jersey in the first week of grand tours, and will no doubt relish the look of the opening stages at this years Giro. His Orica team are team-time-trial specialists and should put Matthews in this position of moving into the pink jersey sometime during the next few flat and hilly stages, and a challenge for the points jersey also looks possible. There’s no doubt that Greipel is the quickest of the sprinters riding at the Giro, but how many sprints will he actually be involved in? There aren’t many purely flat stages as it is, and the German often fails to put himself in contention during the hustle and bustle that precedes sprint finishes. Instead Luka Mezgec, supported by his powerful Giant-Alpecin sprint train, could be the most successful sprinter of the race. Initially one of the revelations of last year’s Giro, Ulissi’s two stage wins were later discredited after he failed a dope test. Since returning from his ban he has failed to reach similar heights, with no top ten finishes registered yet this season. 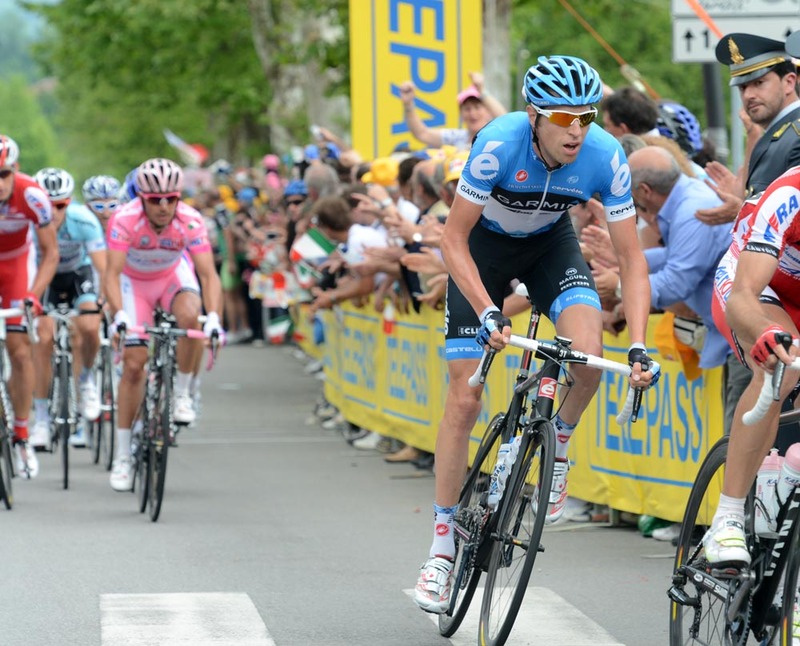 The many hilly stages at the Giro will suit him, however, if he can rediscover last year’s form.